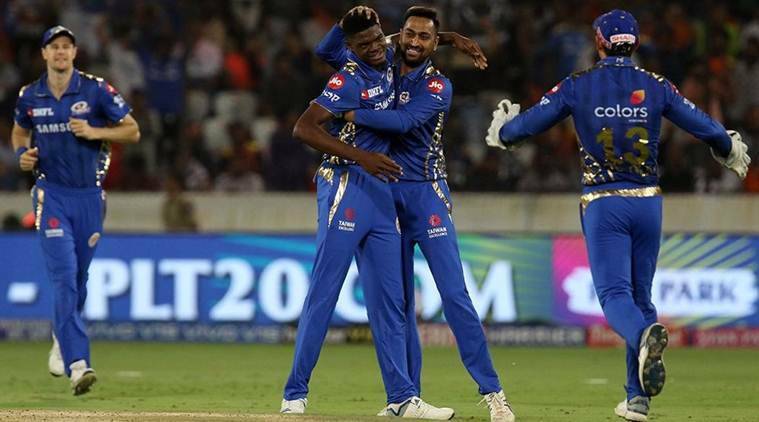 It was neither Alzarri Joseph’s strapping physique nor his genuine pace that impressed Curtly Ambrose the most, but that he, like himself, smiles reluctantly. “You don’t smile much, don’t you? …and that’s the thing I like most about you,” he complimented the youngster, then fresh from emerging as the highest wicket-taker at the 2016 U-19 World Cup, during their first meeting at the foyer of the VC Bird Airport in St John’s. Alzarri’s “cricket buff” grandmother, Eileen, was a scorer at the Antigua Recreation Ground for nearly 30 years, and used to drag her grandson to even grade matches. Talk to her for five minutes and you’ll get the drift — she will take you back to the time Andy Roberts ripped through a hapless England to Brian Lara’s 375 and 400, score-sheets of both games neatly treasured in a file. “Whenever he asked me for bedtime stories, I used to tell him about stories of our great team, of Sir Viv, Roberts and Curtly,” she had told The Indian Express when Alzarri was first picked in the West Indies squad, during India’s trip in 2016. And even if he escaped his grandmother, he couldn’t evade his father Alva, a former club cricketer and hard-hitting batsman, who wanted to name his son Vivian but for his wife’s objection. Even now, it’s his son’s lusty blows down the order that give him the kick — Alzarri recently smashed 35 off 30 balls against Jimmy Anderson and Co.
Tales of battered knees, broken nose bridges and perfume balls coloured his imagination and so perhaps he ingrained a streak of inscrutable aggression. 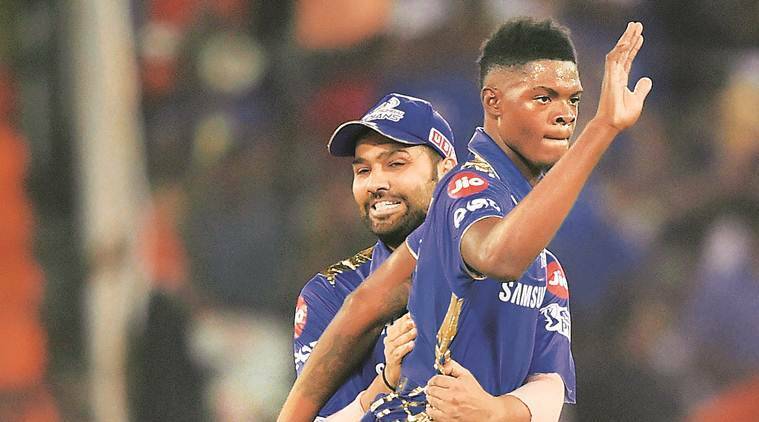 A cocktail of factors make Alzarri Joseph difficult to negotiate, let alone plunder him for boundaries. Pace is one thing—he consistently rattles 140kmph or upwards. But pace he allies with precision. Bounce is another factor—standing at 6 feet five inches or thereabouts and blessed with a high-arm action he can extract disconcerting bounce even off sluggish surfaces. But it's the length he whips up that troubles the batsmen. In T20, most batsmen anticipate either fuller-length/yorker deliveries or bouncer (usually its slow variant), but Alzarri prefers bowling back-of-length, leaving the batsmen in dilemma, whether to get forward or hang back. Such split-second confusion is all that it's required to spell doom. With his natural inward angle, batsmen would instinctively try to target the long-on-mid-wicket arc, that's when the virtues of his extra pace and bounce kick in. He's hurried by pace and rattled by bounce. The margin for error, though, is minuscule. If he strays a little further into the batsman, it becomes a juicy length ball. It's when another virtue of his steps in. Accuracy. The latter disposition, half a dozen hapless Sunrisers Hyderabad batsmen would vouch for. He didn’t quite threaten their toes or noses on Sunday, but bowled with unremitting aggro, mostly a yard outside off-stump, back of a length, angling into the right-handers. In fact, only five deliveries wavered into the stumps, of which only one landed on leg-stump ( a full toss to the shuffling Deepak Hooda). Not just his unflagging discipline — young Caribbean quicks these days arrive with a scatter-gun reputation — but it’s the impeccable lengths that he hit that impressed Benjamin more. Alzarri struck to his strength, which is to bowl back-of-a-length. 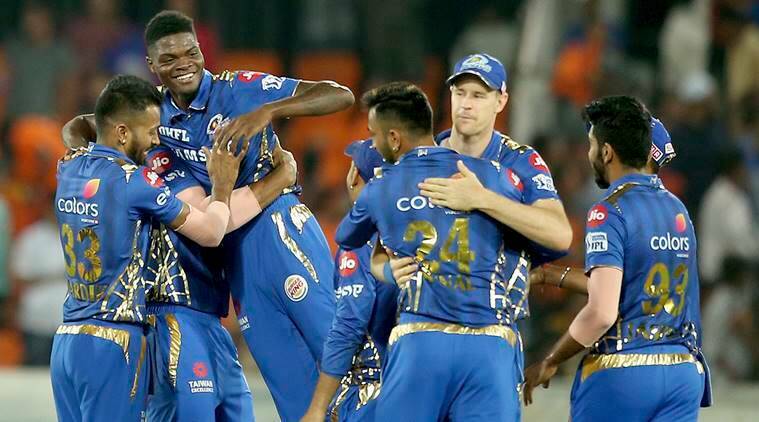 Instructive in this regard is his pitch map — as many as 12 deliveries were back of a length, slanting into the right-hander (or away from the leftie) from a yard outside off-stump, fetching him the wickets of David Warner and Siddharth Kaul, his first and IPL-record-shattering sixth. 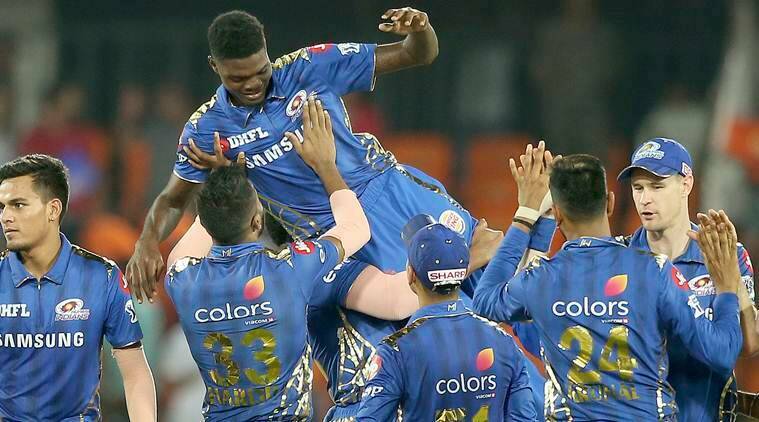 He bowled six short balls, two of them accounting for Vijay Shankar and Rashid Khan, both beaten by the awkward lift his height can generate. A more fiendish lifter had nailed Virat Kohli on Alzarri’s Test debut in St Lucia. Two of his only four good-length deliveries brought him the wickets of Bhuvneshwar Kumar and Hooda. He resisted the temptation to bowl the yorker — he was perhaps discouraged by the full toss to Hooda — while restricting his driveable balls to just two. It was not only the length he struck, but also his mastery over it, leaving Kevin Pietersen glint-eyed. “With this length, he would have been handful in Tests too. It was like watching a top Test-match spell. Pace, bounce and that nagging length, I think we are seeing someone special,” he remarked in the post-match show. Benjamin says he has felt this “beholding someone special” feeling several times when watching Alzarri, though he says it wasn’t just a case of him turning up and bowling destructively from the first game. “It’s a misconception that West Indies bowlers just come and bowl fast. A lot of hard work goes into the making of a genuine fast bowler,” he says. 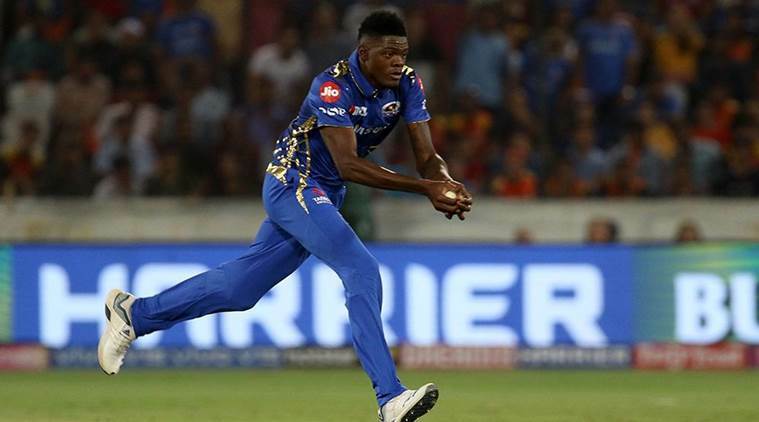 Playing for Mumbai Indians, West Indies fast bowler Alzarri Joseph, 22, returned the best bowling figures (6/12) in IPL history on his tournament debut. When Benjamin first saw Alzarri, he had a longer run-up, leapt higher during the load-up and was more side-on than he’s now. “He was maybe a yard or two quicker, but was all over the place. Besides, his action was more prone to injuries. So we made it shorter, a bit straighter and he doesn’t jump as wildly,” he says. Alzarri’s run-up is smooth, his action smoother, thus armed with more control. Like tearaways of his age, he was prone to overusing the bouncer, which was more often than not counter-productive on the slothful surfaces across the Caribbean these days. So a lot of effort went into making him use his variations judiciously, the game awareness to know which delivery to use on which ground against which batsmen. “Obviously, the more matches he played, the more he learnt, but he never shied away from advice or hard work. He has that attitude, and the passion for the game, not the money involved in it,” Benjamin says. Succinct words from a 22-year-old. But Benjamin is least surprised. Neither would Ambrose be. And both would hope that he smiles only reluctantly.